I know the label says Drama, but I was hoping for at bit more comedy or action. In short, the story is about a young soldier who got injured and became a hero during wartime. He now has to serve his last 3 months as a part of a team that delivers casualty notices to the next of kin back in America. He is dealing with post traumatic stress and on top of that his news partner (played by Woody Harrelson) is a nutcase. He becomes involved with one of the widows, which obviously leads to a bit of problems. It is a very flat and slow plot. It really tries to make you sympathise for the guy and his new job, and effects are added to empathise this, like hand held camera and moody long takes of people doing nothing. It really did not bite on me, and I caught myself checking email during the movie - that is not a good sign! At some points, the movie tries to be funny, and Woody Harralson is just perfect for that, but it just did not seem to fit in. It did help me get through the movie though. The acting was good, although I have never really liked Samantha Morton she was good for her part in this movie. Ben Foster was very good as the Will Montgomery. I do not think I have noticed him in any other movie before. The kid has got some potential. Harrelson is one of my favorites, and he fits the part just perfect. As mentioned earlier Oren Moverman tries to use the effects to underline the mood of the movie. Personally I do not think it worked. I was more annoyed than entertained. Bad choice. 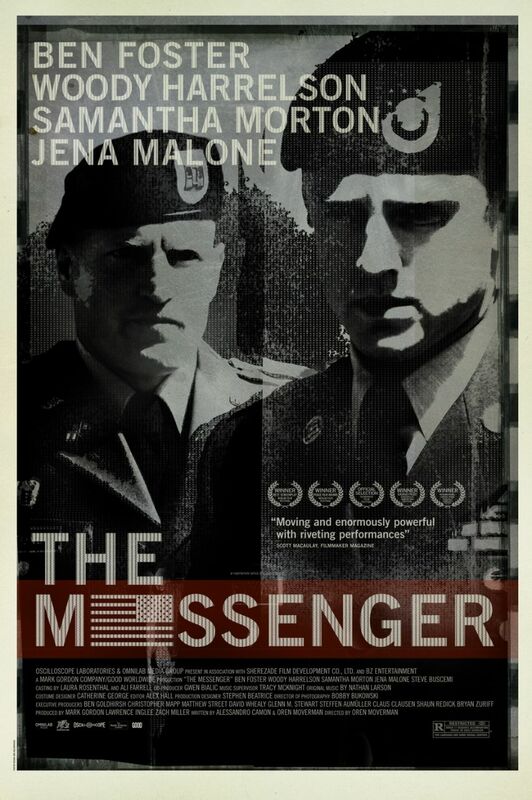 You could watch this, if you are writing about the post effects of war on a soldier, or how to handle delivering possibly the worst message in the world. You could also watch this, because Woody Harrelson is on the cast. I did not like it, but I saw it anyway.